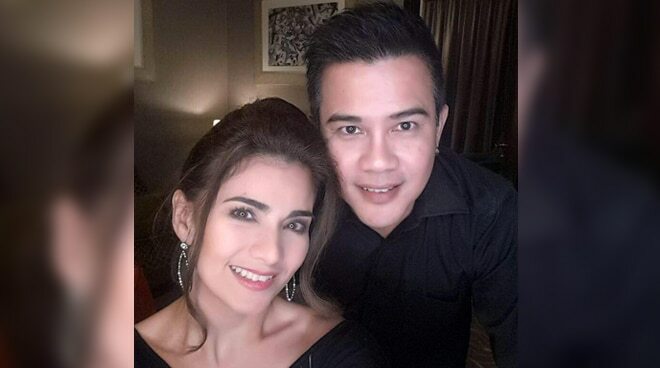 Following a viral post on the unfortunate incident that involved her, Isabel Granada’s husband Arnel Cowley shed light as to the actress’ condition. Isabel’s friend Bianca Lapus took to her Facebook account on Wednesday morning to share about what she suffered from. She shared that Isabel suffered a major internal bleeding following a supposed aneurysm attack. According to Arnel’s post on his own Facebook page on October 25, his wife is currently comatose at the Hamad General Hospital in Doha, Qatar after collapsing yesterday. Arnel felt the need to speak up about his wife's status following the circulation of rumors that the 41-year-old star has already passed away. "She suffered from a brain hemorrhage which indicates aneurysm and in turn affected her heart. She collapsed suddenly without warning yesterday afternoon and is still not responding,” he continued. Arnel admitted that what happened to his wife greatly affected their family. "I have released this statement to end inaccurate speculations during this hard time for myself and the rest of the family and I would also like to thank the people that’s supporting me here in Doha,” he said. Meanwhile, Arnel has something to say to those who have been spreading false reports about Isabel’s death. "Please respect our privacy and please do not make speculations or misinform the public,” he ended.